Well, between the two of us we decided that Spoonflower was the way to go. This is what we have finalised. Isn't it just so fun?! 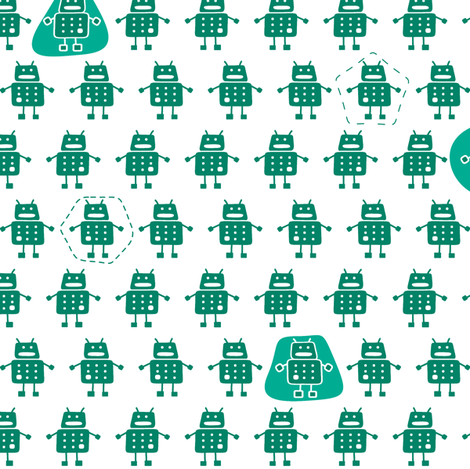 You too can order a Happy Robot panel as big as your heart desires and in whatever fabric floats your boat over on Spoonflower. Oh...and if you reeeeeaaaaally need pink robots with blue shapes, or whatever, let me know and between us we can create your favourite colour-way!